Hand carved of solid wormy walnut about 1870, this sweet little jewelry chest or collectors cabinet has three drawers with hand cut dovetail joints. The renewed finish preserves a few mars at the edges for a little antique character. 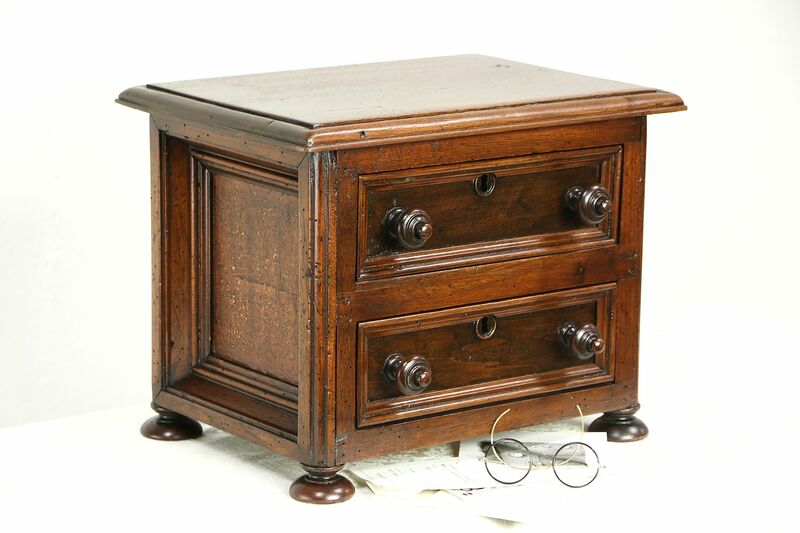 Carved knobs are original on this miniature antique furniture from northern Europe. Size is 16" wide, 11" deep and 12" tall.